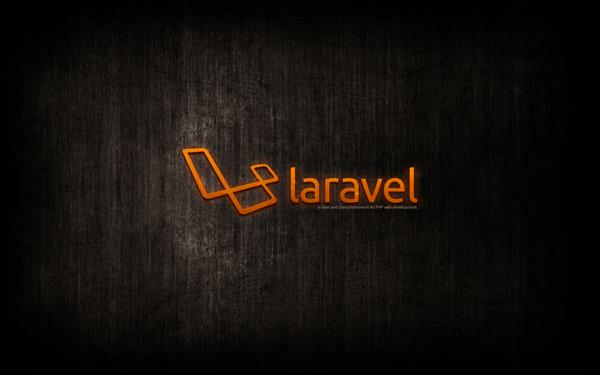 Laravel is free, open-source PHP web framework which was created by Taylor Otwell. The intension of Laravel is to development of web applications following the model–view–controller (MVC) architectural pattern and based on Symphony. It is written in PHP 7. A PHP Framework is the basic platform which allow to develop web applications. In simple words, it provides structure. With the help up of this PHP Framework, you will end up saving loads of time, stopping the need to produce repetitive code, and you’ll be able to build applications rapidly (RAD). It is the command-line interface combined with Laravel framework. It provide you a number of important commands that can help you while you develop your Laravel web applications. Laravel is one of the highly used, open-source modern web application framework that designs customized web applications fastly and easily. Developers prefer Laravel framework over to other frameworks because of its highly performance, features, and scalability. Here are some of the best features of PHP Laravel Framework which makes it so popular. Laravel framework is highly acknowledged for its built-in lightweight templates that can be used to create wonderful layouts using dynamic content seeding. It also provides multiple widgets incorporating CSS and JS code with robust structures. Laravel templates are innovatively designed to create simple as well as complex layouts with distinctive sections. Laravel supports MVC architecture pattern that ensures separates business logic and presentation layers. MVC pattern of Laravel have lot of built-in functions, improves application performance and increases security as well as scalability. Laravel offers Eloquent Object Relational Mapping (ORM) that must include a simple PHP Active Record implementation. It allows web application developers to write database queries with PHP syntax rather than writing SQL code. It is relatively faster than other PHP frameworks. Laravel framework provide very strong web application security. It uses hashed and salted password mechanism so the password would never be saved as plain text in the database. It also uses “Bcrypt Hashing Algorithm” for generating an encrypted password. This PHP web development framework uses prepared SQL statements which prevents SQL injection attacks. Laravel framework provides a built-in command line tool called Artisan that is use to help automating the majority of tedious repetitive programming tasks. This artisans can also be utilized to create the database structure, a skeleton code, and manage migration so it is pretty easy-to-manage database system. In addition, it can generate basic MVC files through command-line and manage those assets as well as their respective configurations. Artisan also helps developers to create their own commands and use them as required. Laravel comes with pre-installed Object-Oriented and Modular libraries which are not available in many other PHP frameworks. For example, an Authentication library which is easy-to-implement and has featuressuch as checking active users, Bcrypt hashing, password reset, CSRF (Cross-site Request Forgery) protection, and encryption. Furthermore, this framework is divided into individual modules adopting modern PHP principles facilitating responsive and modular web applications development. Laravel migration system helps to expand the web application database structure without re-creating everytime when there is a change in the code. Because of this feature the risk of losing data is become minimal/ less. This is not only offers the facility to change the database structure but also helps to do using PHP code instead of SQL. Laravel Schema Builder helps creating database tables and inserts indices or columns promptly. Laravel is the preferred framework for web application developers today due to the way it facilitates unit testing. This framework is also capable of running multiple unit tests to ensure that new changes done by the developer do not unexpectedly break the web application. Laravel based web applications are capable of stable releases as it is careful of the known failures. This can also make it easy for the developers to write unit-tests.